Once upon a time, before there were endless models of running shoes, so many that the designers seem to run out of color combinations...Before there were libraries filled with guides to running, mountains of books with training schedules and tapering plans, there was one book, with it's bright red cover designed to catch your eye and boy, did it attract attention. 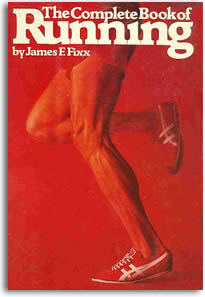 In 1977 Jim Fixx wrote "The Complete Book of Running" and the running boom was launched into a higher orbit. 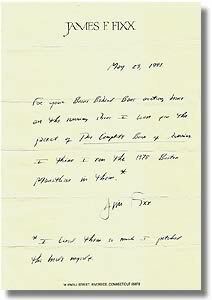 It became the best-selling non-fiction hardcover book ever at the time of its publishing. Thousands followed Jim's advice, laced up their running shoes and took to the streets. Race fields swelled with the newly converted and the marathon went from an oddity to the holy grail of runners everywhere. Jim posed for the cover himself, sporting a pair of red nylon Onitsuka Tiger racing flats. It's hard to even consider these running shoes, they were more like slippers. They offered no support and even less cushioning, but they were beautiful. 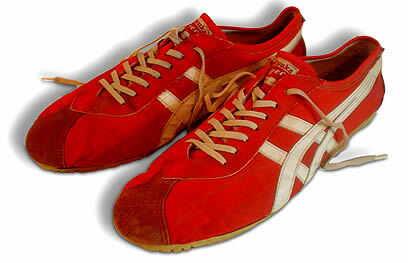 It may be hard to imagine today, but in the mid 1970s it was hard to find racing flats. When you bought a pair of Tigers you were serious about running, you were an athlete. Bill Rodgers wore them for God's sake! Their appearance on the book jacket let seasoned runners know that this book was for real. *I liked them so much I patched the heels myself. "I wish I could remember the bar in Manhattan where the auction was. They had a bunch of celebrity stuff... I bid on Harry Belafonte's blousy black shirt, but lost. I think I paid forty or fifty bucks for the shoes -- not more. I wasn't ardent to have them, but I wanted to contribute to the cause. I may have been the only bidder on them!" 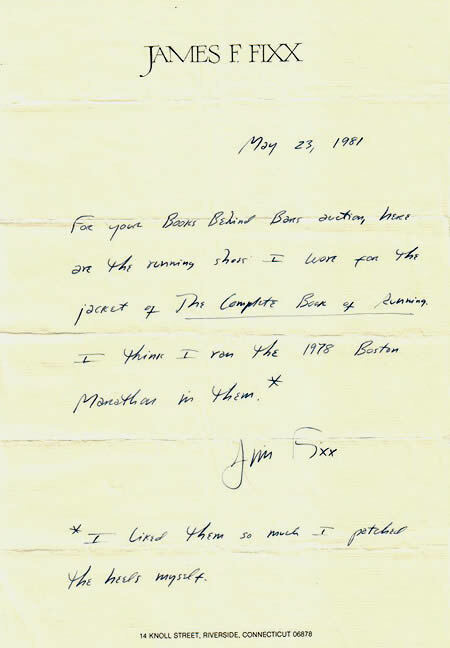 He put the shoes in a box, along with Fixx's letter, threw them in a closet and forgot about them. Recently he came across the box and decided to put the items up for auction on eBay. As eBay's commercial asked, "What if nothing was ever lost?" We're happy to say running's "ruby slippers" are no longer lost, they've found a home here on Running Past.